This post is the tenth in a series introducing the 12 teams participating in the 2018 Wood Stove Design Challenge in November. In 2015, students from Stony Brook University in New York received a grant from NYSERDA to participate in the 2016 Wood Stove Design Challenge. The team is led by Professor Devinder Mahajan, Director, Institute of Gas Innovation and Technology and Professor of Chemical and Molecular Engineering at Stony Brook University, and Abe Montes, an undergraduate student in the Materials Science and Chemical Engineering Department acting as team leader. Dr. Devinder Mahajan received his Ph.D. from the University of British Columbia, Canada and completed his post-doctoral training at Brookhaven National Laboratory (BNL), joining the Stony Brook University Faculty in 2002. The team has four undergraduate students that change year to year as members graduate. 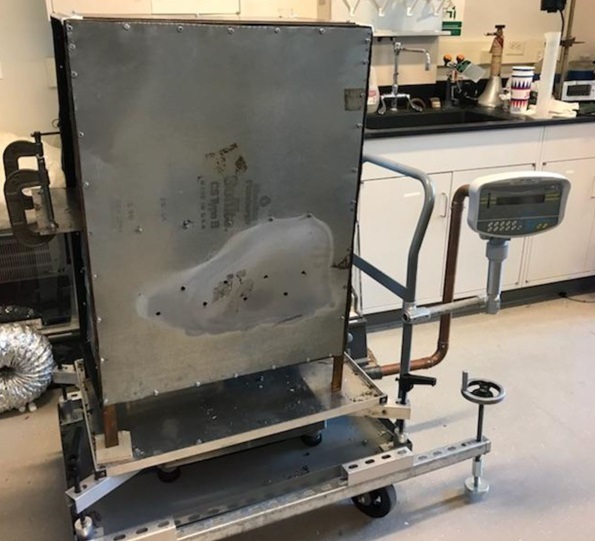 Now, in its third year, their automated stove, known as the “Lumburnator” is going through design operation and testing cycles at the Advanced Energy Research and Technology Center. 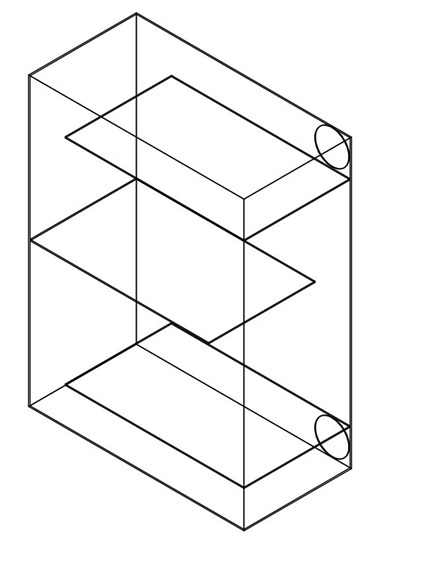 This is in preparation for the November 2018 Design Challenge in Washington, DC. The team’s main focus is to show that clean, efficient, wood combustion is possible without sacrificing commercial viability. To achieve this goal, Stony Brook has included four innovative features into the Lumburnator. The first is the addition of a drying chamber inside the stove. 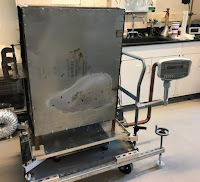 The theory is that by using heat from the combustion chamber to dry subsequent fuel charges, startup emissions from subsequent charges can be reduced. The second is electronic controls. The Lumburnator’s electronic control system automatically adjusts the stove’s operation based on flue stack temperature. The third is an innovative heat exchanger. The high surface area present in the Lumburnator’s exhaust remediation section, improves heating efficiency and helps to capture particulate emissions. The final innovation is a venturi draft inducer. The Lumburnator is a downdraft wood stove, which uses the negative pressure generated by the draft inducer to draw air through the firebox for combustion. The Lumburnator in the lab. 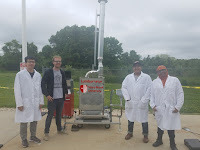 The Luburnator has many unique and innovative features, and Devinder says that a big benefit of the Design Challenge will be getting the opportunity to address the pushback they’ve received and show that “there are ways to conform to the new EPA standards while keeping price in mind.” Throughout the project, the Stony Brook team’s vision has been based on what the team calls the “three pillars”: designing a stove that operates easily and safely, reduces emissions, and is affordable. The Stony Brook team believes they have a commercially viable design and are enthusiastic about the Lumburnator successfully competing in the Design Challenge this November at the National Mall in Washington DC.